Mamelodi Sundowns say they are still committed to helping star striker Percy Tau secure a move to Europe. Tau is linked with a move away from Sundowns after helping the club claim their eighth Absa Premiership League title. The Absa Premiership champions have released a statement committing to help Tau move overseas. English Premier League side Brighton reportedly made an offer for £2.5 million (R44 million) to sign Tau. 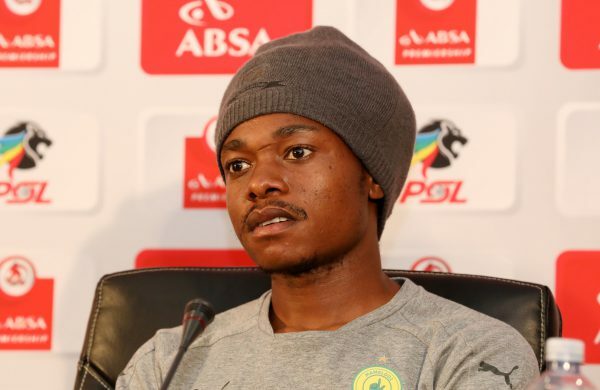 Mamelodi Sundowns have stated on numerous occasions over the past 18 months that they were committed to ensuring Percy Tau played and pursued his career in Europe. “We have been saddened by misrepresentations and false statements in the media concerning discussions for Percy Tau to play in Europe,” Sundowns said.